Offers a faster and less tiring finish. 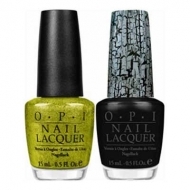 DESCRIPTION: OPI Shiner File 1000/4000 Grit from OPI a double-sided file for an incredible gloss on the nail surface. This ergonomically designed product contains contours for a faster, less tiring finish. FLEX design with soft foam core for smooth and cushioned polishing.